A needlepunched insulated lining that reflects hot and cold energy back to it's source. Who doesn't love a homemade pot holder, oven mitt or soft lunch sack made safe with Insul-Bright. 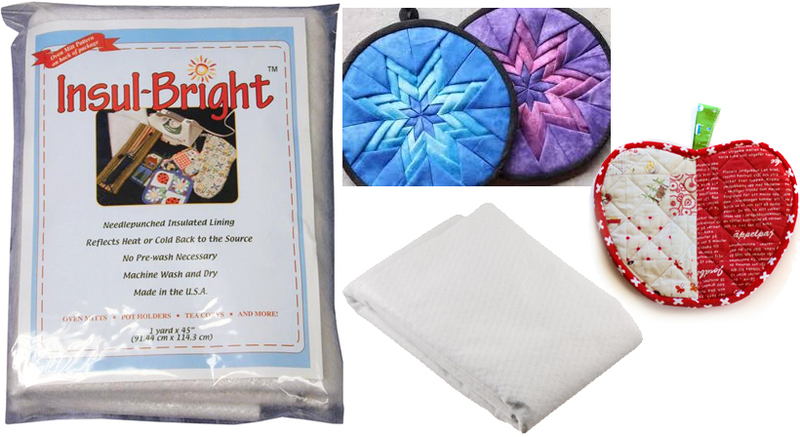 Easy-to-sew through and guaranteed to last through a lifetime of gentle washings.